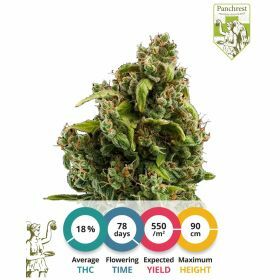 This spectacular cross between Southern Cheese (a Cheese IBL) and CBD Pure (by Pure seeds) is a must have for medicinal users that do not want to make compromises in taste or smell. The result is a high yielding medicinal strain with the characteristic Cheese flavor. People that like to smoke their medicine and want a nice classic taste to go with it should get their hands on these CBD Cheese cannabis seeds. This strain is very versatile in its therapeutic purposes. 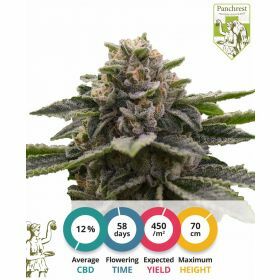 These CBD Cheese cannabis seeds will grow out into heavy-yielding plants with buds that smell, look and taste like the original cheese. The plants will produce loads of branches with elongated hard buds stacked on top. The grow pattern is wide and fast, making it an absolute winner for beginners. This grow pattern can however also be a problem for people that do not anticipate the growth potential after switching to 12/12. 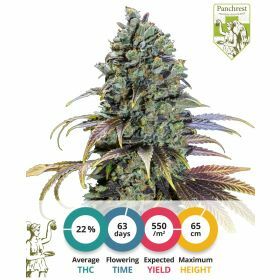 CBD Cheese cannabis seeds will be growing extensively when switching to the flowering phase and growers should take care of the height that the plants will want to reach. Scrogging or supper cropping these plants will keep them in check, but is not advised for beginning growers. CBD Cheese cannabis cheese should be fertilized moderately. Do not overfeed the plants that germinate from these seeds, because it will reduce the yield significantly. CBD Cheese is really flexible when it comes to temperature and humidity. However, the strain is quite sensitive to nutrient disbalance. The effect of CBD Cheese is not as harsh as its high THC parent. The bud from these CBD Cheese seeds however do possess the deep flavor and aroma that its high THC parent possesses. You can smell clear hints of spring flowers through the classic heavy Cheese smell. This herb will provide for a long-lasting mellow effect that will help the user reduce anxiety and ease muscle tension. Beware that the bud harvested from the plants that are grown out of CBD Cheese cannabis seeds will induce sleepiness. 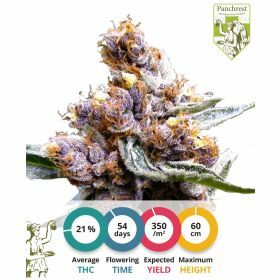 This is not a strain that is to be smoked on the middle of the day by inexperienced smokers!